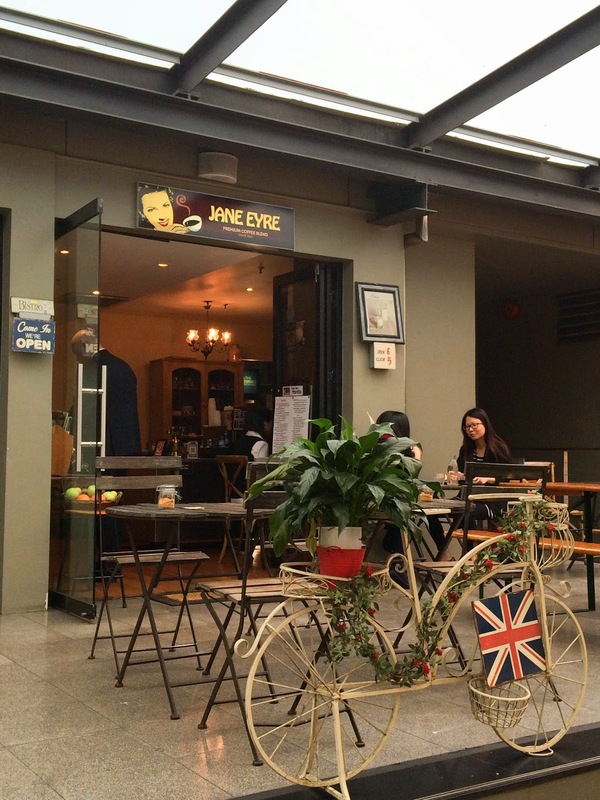 Ladies and gentlemen, Jane Eyre Cafe is probably the best cafe in North Sydney. Why? Because it has amazing food, great coffee and fancy French cutlery. And a bike flower pot. I stumbled across this cute, cozy cafe during one of my lunch breaks as I was exploring the restaurants near my work. After a quick look of the menu, I settled on french toast and an iced coffee. I chose the french toast simply because the menu said it came with BACON. 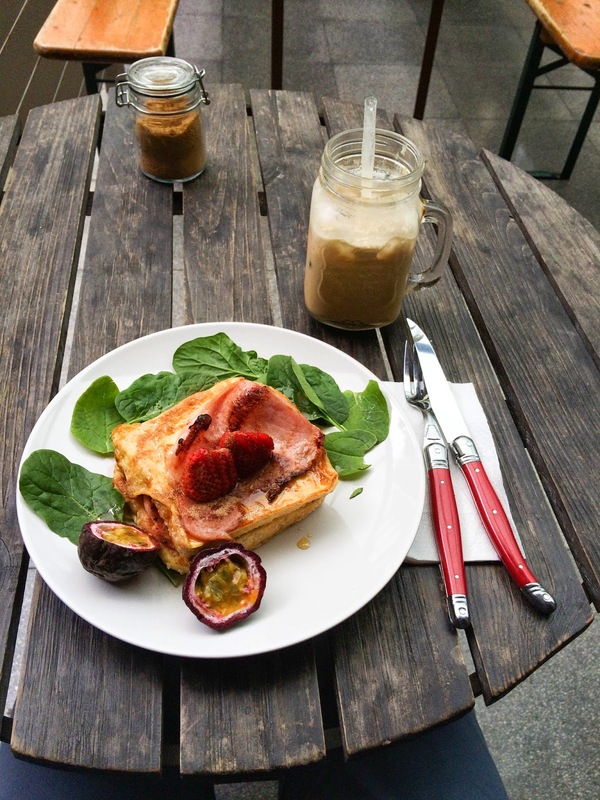 French toast with bacon, say what?!? And boy was there a lot of bacon. Don’t let the photo fool you into thinking there’s only a single piece of bacon. When I cut into the bread, I was pleasantly surprised by another 2 layers of bacon!! 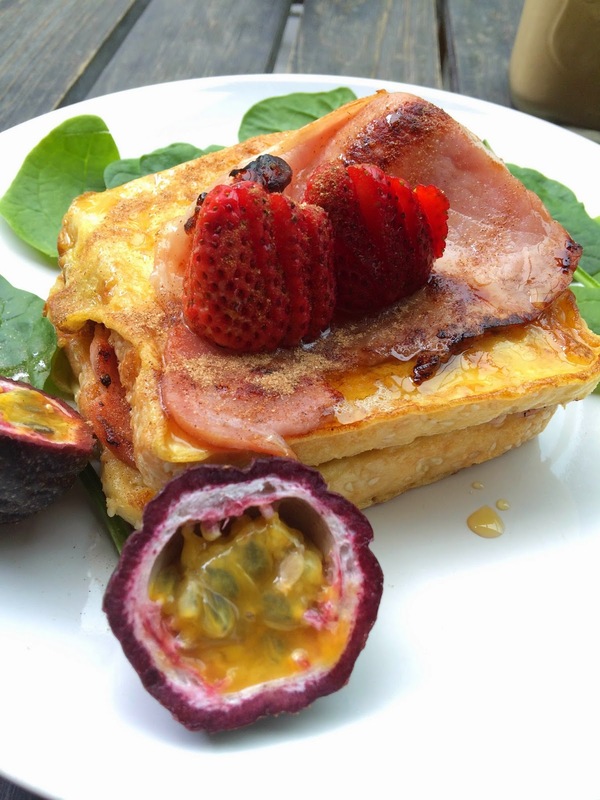 The bacon overload was balanced by the greens, strawberry and passionfruit. The ice coffee came with a generous serving of ice cream and a garnish of 3 little coffee beans. The coffee was rich and smooth. 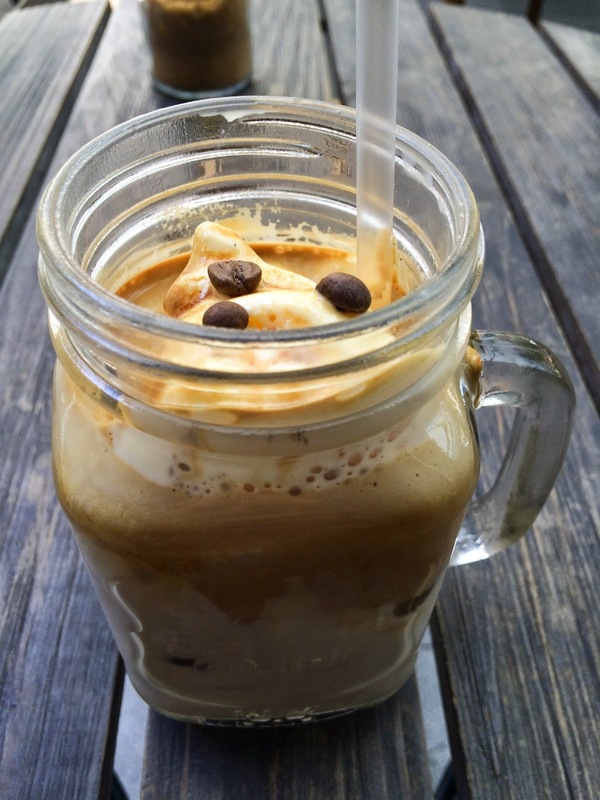 Mmm love a good iced coffee but no ice cream for me! Looks like a great find! And hidden bacon? Great idea!